Celebrating its first year in service, I recently visited Cafe Monico on London’s bustling Shaftesbury Avenue in heart of the Theatre district. Check out my thoughts and a bit more about Cafe Monico below. Owned by Soho House but originally established in 1877 at No. 15 Tichborne Street by brothers Giacomo and Battista Monico, Cafe Monico was popular for serving continental coffees and liqueur. In 1885 some of the other properties on the street were demolished to create Shaftesbury Avenue, and Giacomo and Battista obtained a building lease for a plot that bordered the back of their original premises. After the brother’s deaths Giacomo’s two sons ran the restaurant, before the business was acquired by Forte’s and Co. Ltd in the 1950’s. Enter 2016, Year of the reinvention of Cafe Moncio, the Soho House group collaborated with chef Rowley Leigh to devise a menu with influences from Provence through to Northern Italian cuisine and the restaurant serves breakfast through to dinner everyday. 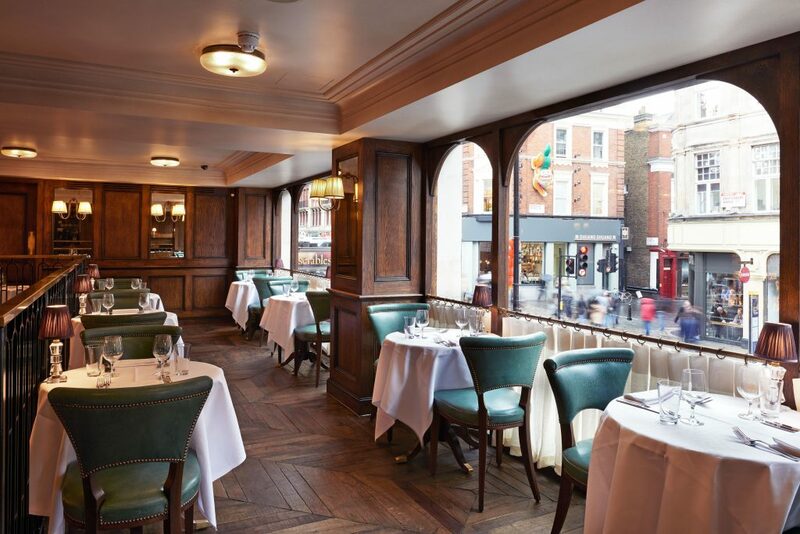 Cafe Monico seats 140 diners and has an open-plan kitchen and centralised bar, which opens up to the mezzanine. 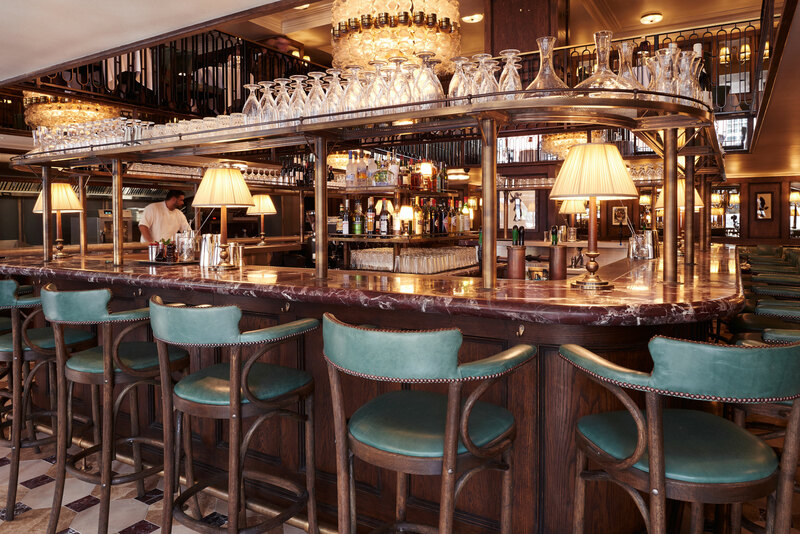 Cafe Monico’s design has a classic brasserie feel, with French green leather banquettes and aged oak panelled walls throughout. Downstairs a bespoke marble floor combines three different types of marble, while the mezzanine has a reclaimed timber geometric patterned floor. 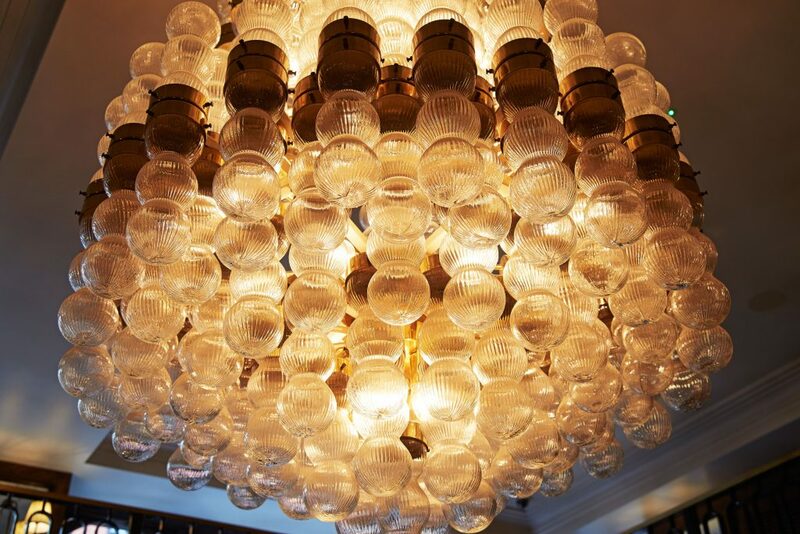 A three metre vintage glass and brass chandelier hangs in the centre of the mezzanine, sourced from an antique store in Amsterdam. Of course, not forgetting the lively music and great atmosphere. 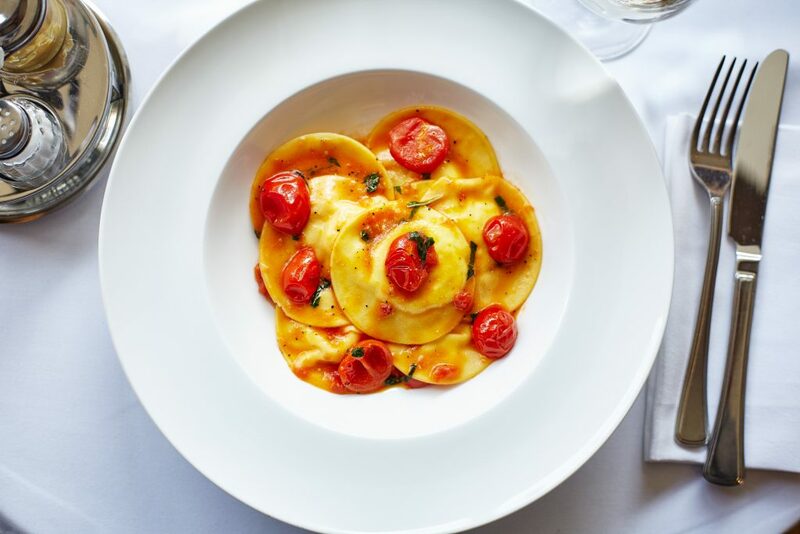 Gratefully accommodating to all needs, the all-day menu offers guests bites, shellfish, salumi (Italian cold cuts), starters, egg dishes, salads, mains, dishes from the grill, pastas, sides various plats du jour. I was genuinely surprised. 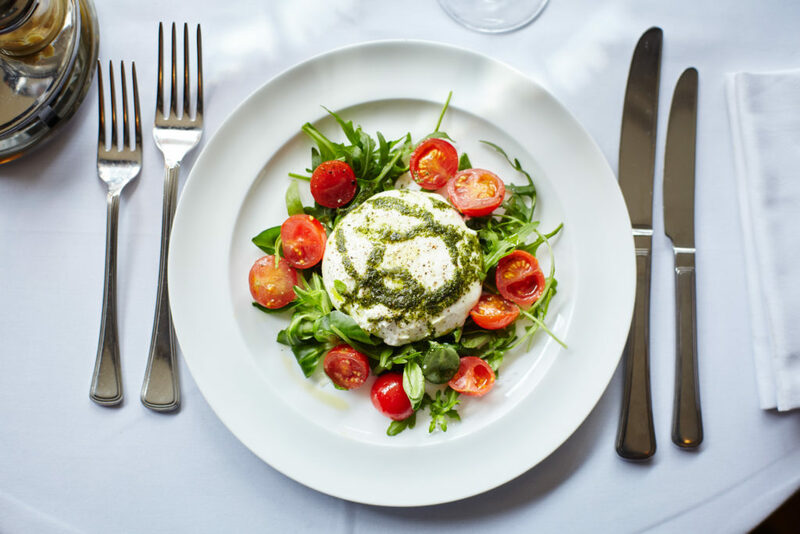 Given I like to eat out most nights and often avoid tourist attraction areas in any City, Cafe Monico felt like a form of escapism to the ‘normal’ within that district of London. Key tip – if you are planning on visiting for dinner make sure you are there post theatre-goers so you actually get a table – or you could just book in advance. In London? 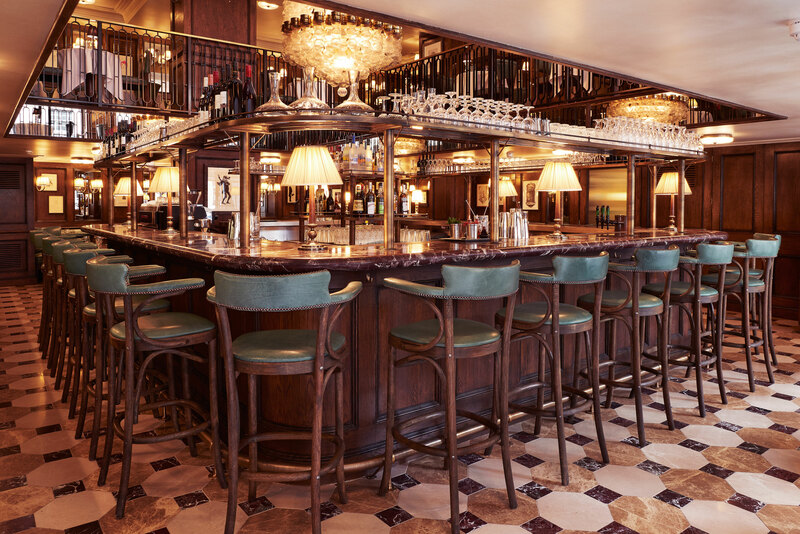 Cafe Monico is worth a visit. Opening Hours: Monday-Thursday 08.00-midnight, Friday 08.00-01.00, Saturday 11.00-01.00, Sunday and public holidays 11.00-midnight. Average cost for one person including soft drinks and service charge: £45-55 approx. 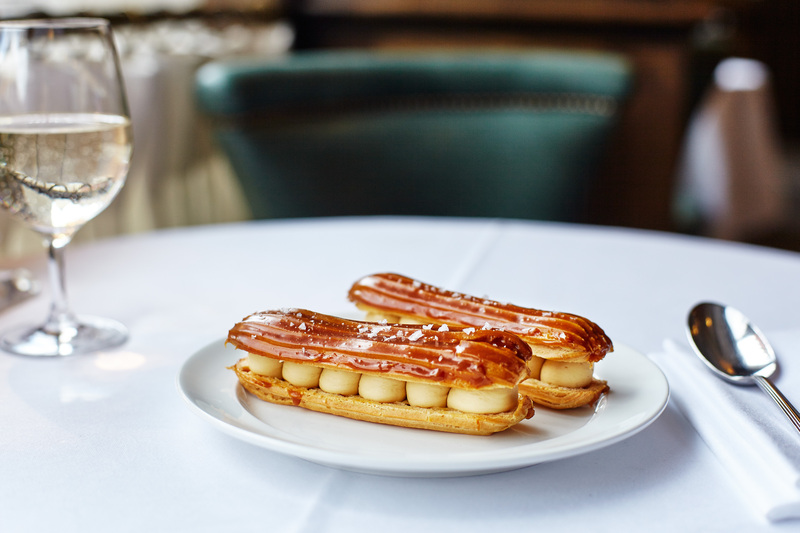 This entry was posted in Food & Travel, London, Places to Eat and tagged Cafe Monico, food, london, Places to Eat, Soho House Group. Bookmark the permalink.